Danyun arranges day-trips and provides you with a possibility to explore the life of the local people. If you intend to meet the locals and experience the life that they live, you are welcome to join us. From 2016 onwards Danyun will also start to arrange week trips into the tea fields, an unique experience to directly see how our teas are being made! More information to follow soon! Please don’t hesitate to send us an email in case you are interested and can’t wait. Leave Kunming, Danyun office 8 .00am and return to Kunming, Danyun office 9-10pm. Leave for Kunming late afternoon and have dinner on the way back. You are welcome to visit us and explore the local area. 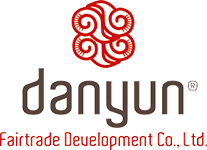 Please contact us at costumerservice@danyunfairtrade.com, if you have more questions.